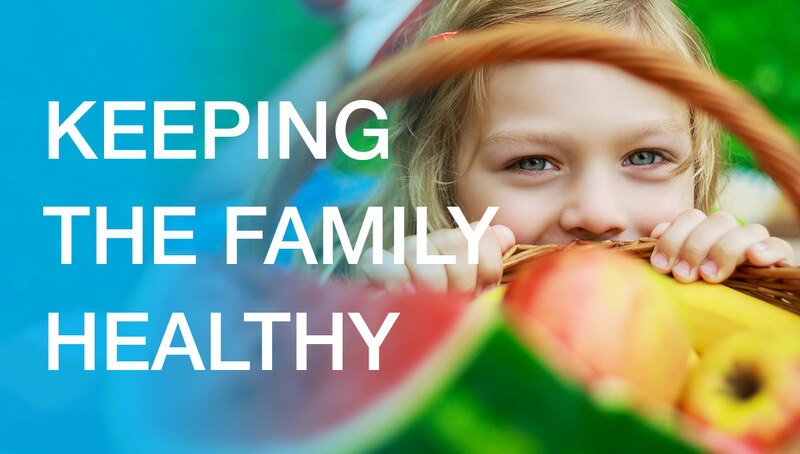 I read an interesting article recently describing the small measures that could be used to help keep a family healthy and thought I would share it with you here. The article described how a paediatrician’s daughter described how she envied her friends who were snuggled in their warm beds as they recovered from a cough, a virus or a suspicious ‘get out of a test’ illness. As the daughter of a paediatrician who always seemed to cure the family by morning, she rarely missed a day of school. What was his advice? Everyone has their own cup. Families can pass colds, bugs and the flu to one another, simply by drinking from the same cup or glass. The ban on sharing a cup needs to be non-negotiable. Certain germs may not affect you, but they can affect others. Give children different coloured cups to eliminate confusion. Just as important – make it a family rule to wash your hands. Take what you want, eat what you can. It is counter-productive to force children to eat. Place the food on the table, let them serve themselves and finish what they can. If a child is picky, include at least one food they like at each meal, or let them make a sandwich. Children won’t starve even if they are fussy. Eating together at the table also teaches portion control and good manners. Allow treats. Make healthy snacks available to children, but allow occasional treats as well. If you deprive your child of treats they’ll crave them more or find them somewhere else. Keep a bowl of fruit out on the kitchen counter but put treats away in a cupboard or pantry where they are available if children want them. Access usually means children are not fascinated by ‘forbidden fruit’ and are happy with an occasional treat. Get a flu shot. The vaccine is not 100% percent but it can minimise the symptoms of the flu and potentially prevent other complications. Children, like old people, are more susceptible to the flu and anyone who has had the real thing knows just how serious and dangerous it can be. Be prepared. Keep a box stocked with adhesive bandages, antiseptic ointment, eye drops, insect spray, pain relievers and allergy medicine along with other basic first-aid supplies. Keep it where you can quickly put your hand on it even in the middle of the night. Have a Blessed Christmas What if Your Child Doesn’t win a Prize?